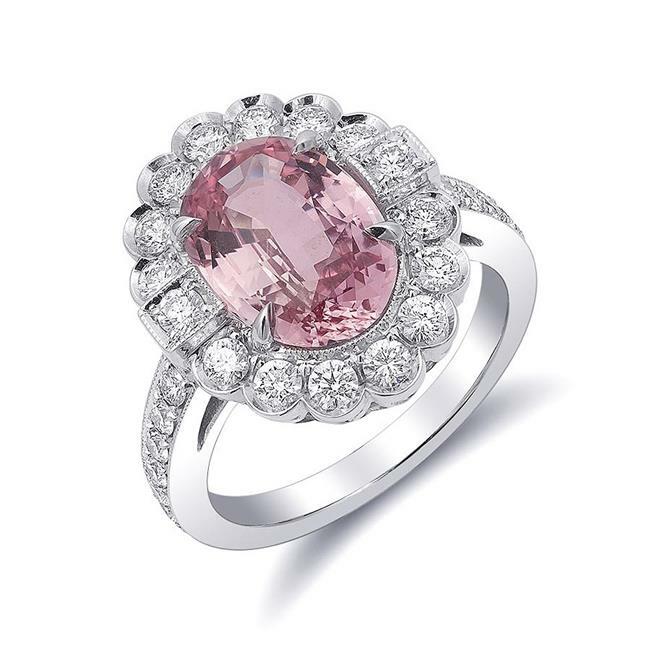 With a slight hint of orange, this pink sapphire weighing 3.85 Carats will steal your heart. Superb internal brilliance, color, and size are just some of the things this ring offers. Set in platinum this oval corundum has not been thermally enhanced and maintains its natural color.